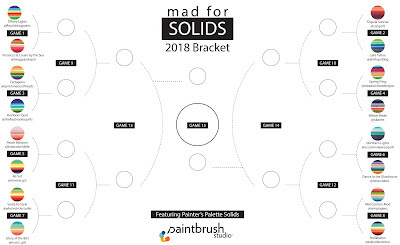 For the third year in a row, I have been part of the Mad for Solids Competition, sponsored by Paintbrush Studios. 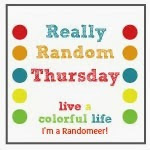 Quilters create their own stack of colors, give them a name, describe their inspiration, and then, just like the basketball competition of the same name, go up against each other, hoping to reach the championship bracket. 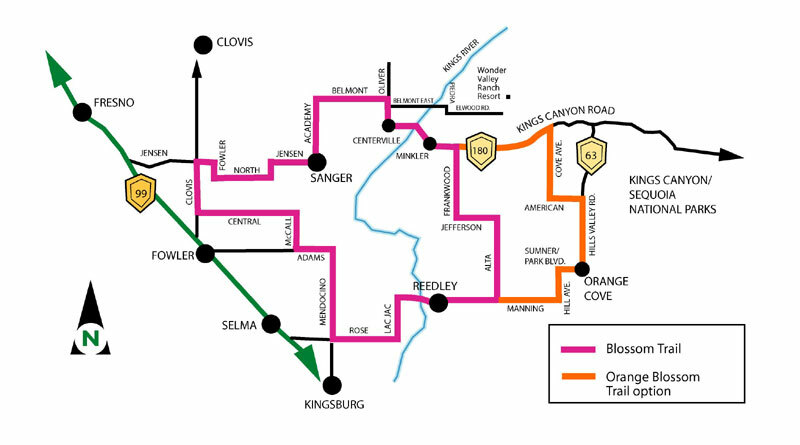 During this time of the year here in the central valley of California, we are surrounded by acres of orchards in full bloom--almonds, plums, apricots, peaches and nectarines, apples and citrus--with colors ranging from white to deep pink. It's really stunning. 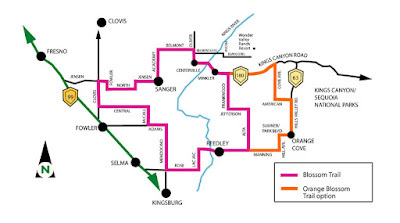 There is an official "Blossom Trail," along with trail runs, bike rides, bus trips (along with wine tasting), an official poster--it's a big deal. This was my inspiration as I chose the colors for my bundle--the soft sweet colors of the blooms signaling yummy fruit to follow. My bundle is aptly named Peach Blossom Festival. If you have never worked with the Painters Palette solids by Paintbrush Studios, I highly recommend them. They come in a wide array of colors and have a beautiful hand. The Paintbrush Studios blog, where you can see all 16 bundles and read about the inspiration behind them, Paintbrush Studios on Instagram, as well as Facebook. You will also have a chance to win free fabric by voting. 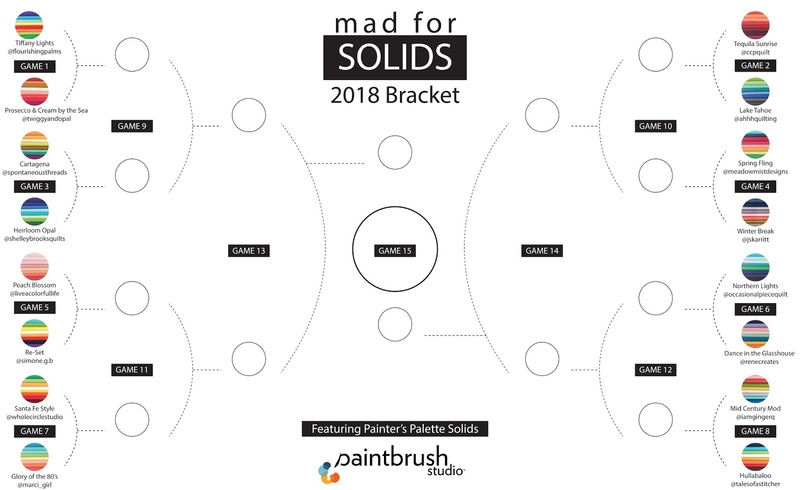 Paintbrush Studios will randomly select four voters from the championship game to win fat quarter bundles of the winning palette. Today my bundle is up for vote, against another formidible contender, Simone Bradford. You only have one day to get your vote in (you can vote at all three places--the blog, instagram and facebook) and then another round will take its place. Have fun and vote. Maybe you will see me in the next round! You will have my vote!! There is something about the softness of this bundle that I love! I hope you make it to the next round!! I went and voted for your bundle both on facebook and on the blog! I love your bundle! Cindy, I saw your bundle when the brackets were first posted. I fell in love with the various shades. AND, my daughter was trying to gather color ideas for a sofa quilt she wants to make. I showed these to her and she wanted to know where she could get them. So we will be looking locally first. Thank you. Those colors are fabulous. We saw the Blossom Trail when we were up there a few weeks ago and the trees were simply incredible. Hope they enjoyed the rain. 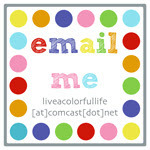 Love your colors. The blossom trail sounds like it would be beautiful.